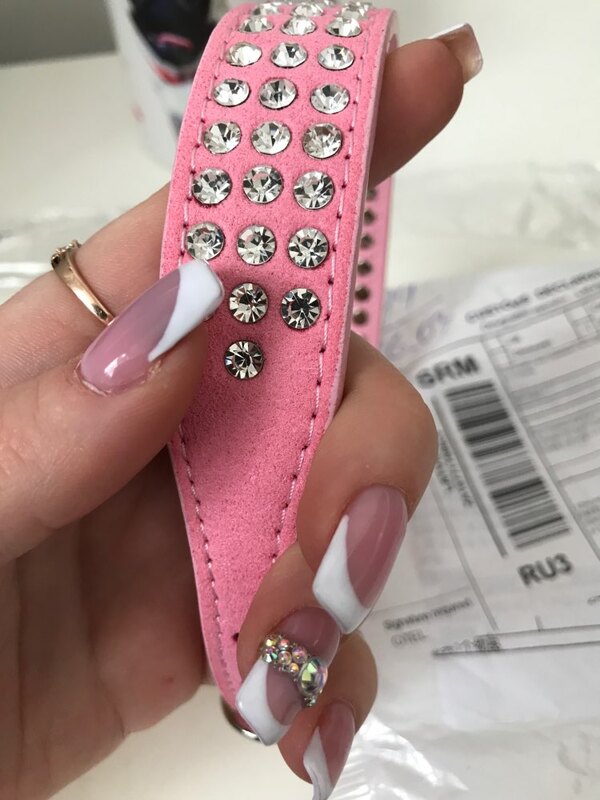 This beautiful collar style rhinestone, made from the finest suede Leather material will definitely make your pooch feel like a princess.Very cute and beautiful in 4 rows imitation diamonds riveted on the collar, which will bring your puppy pet easy eye-catching. 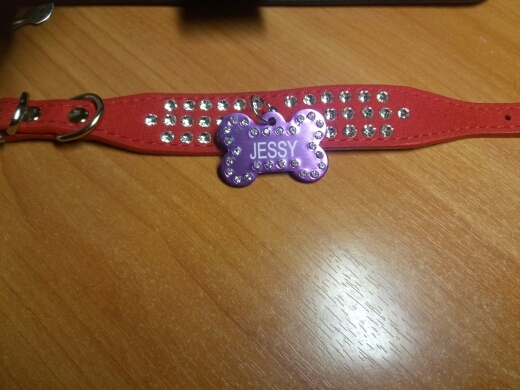 Show off your dog's bling today! It is made of suede leather, outer is comfortable velvet. 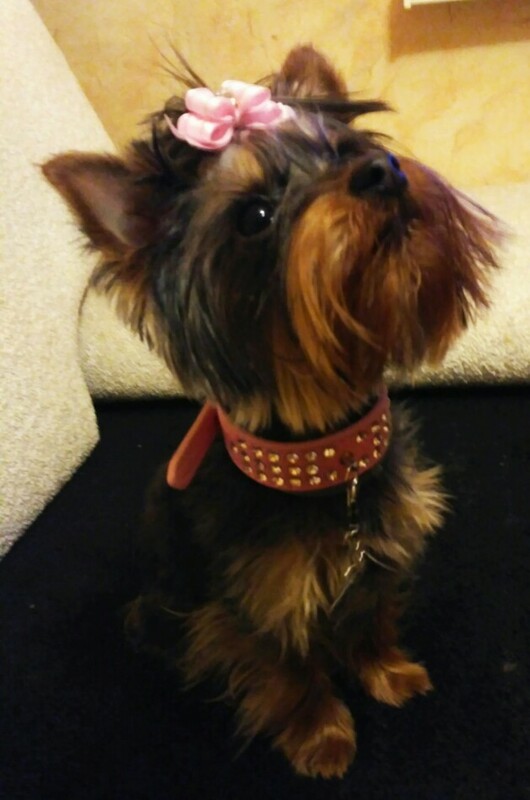 Very practical design to prevent paws scratch the necklace. 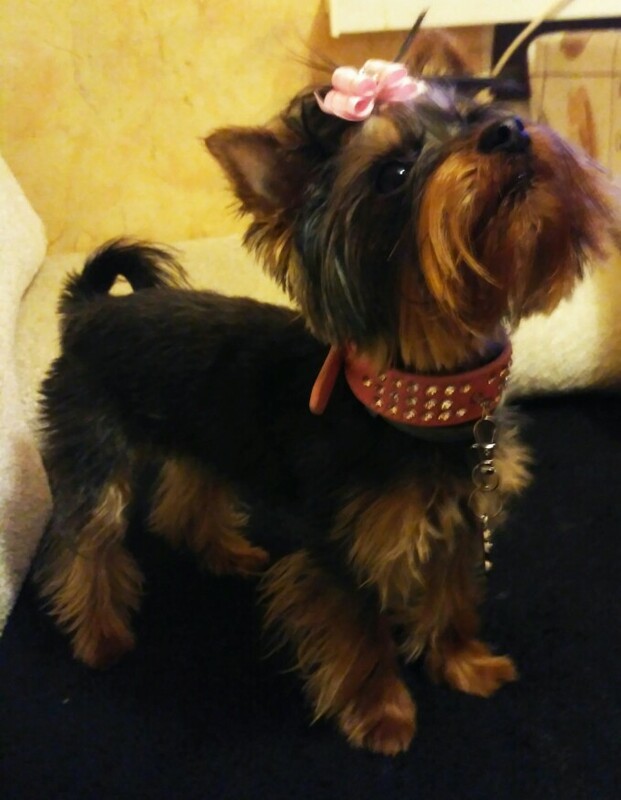 chic collar, i'm very satisfied.